By Chris Lang. Published by urgewald, June 2007. Pulp mills and the industrial tree plantations that feed them have become increasingly controversial. In country after country, local people and environmental organisations are protesting against the impacts of plantations. The vast areas of monocultures required to feed modern pulp mills have severe impacts on biodiversity, water, land rights and livelihoods. And the mills themselves are among the most polluting of industrial facilities. Communities around the world have seen their rivers, fisheries and drinking water ruined. Protests against pulp mills are ongoing in Thailand, Indonesia, Brazil, Chile and Uruguay, to mention just a few of the countries involved. The major actors in the pulp industry are global players. For more than a decade, the industry has been contracting in the North and expanding in the South. While production of pulp is moving South, much of the advice that governments, companies and financiers rely on comes from northern-based consulting firms. The machinery and equipment for pulp and paper machines is manufactured in the North. And the bulk of paper production is destined for Northern consumption. This report is addressed to the financiers of pulp mills and industrial tree plantations, who are also based primarily in the North. Between 2000 and 2006, pulp and paper companies raised US$215.5 billion on the international capital markets. While development banks only provided US$1.9 billion to the sector over the last decade, they are now accelerating their activities rapidly. As funding is a key barrier to entry for proposed mills, funding institutions jointly and individually hold significant power in determining which projects are ultimately realised – and responsibility for the impacts that follow. This report examines the pulp industry’s current expansion plans as well as the implications of these plans for people and the environment. 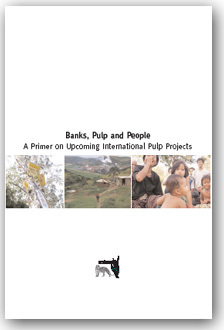 It provides country case studies and information on problematic pulp projects in the pipeline and it makes recommendations to financiers regarding their future role in this sector. Before looking at the way pulp mills are financed and the structure of the pulp industry, we start with a look at the impacts. The best way of doing this is with a visit to a modern pulp mill and associated plantations. The lines of eucalyptus stretch as far as the eye can see, towering over us. The trunks are straight with hardly any branches. Inside the plantations there’s an eerie silence. No birds, no animals, few signs of life. Nothing grows between the rows of trees except a few blades of grass. We drive on to a vast clearcut where machines are removing the trees mechanically and apparently effortlessly. The trees are all the same age, the same species and at such a risk of pest and disease attacks that they have to be regularly sprayed with a cocktail of chemicals. The plantations belong to Veracel, a massive new pulp mill in the Brazilian state of Bahia, built as a joint venture between the Swedish-Finnish pulp giant Stora Enso and Brazil’s Aracruz. The pulp mill started up in 2005. The European Investment Bank, which lent a total of US$110 million to the Veracel project, states that the pulp mill “is expected to create significant economic benefits for the region, including employment”. In fact, Veracel’s pulp mill will employ only 400 people. Built at a cost of US$1.25 billion, jobs at Veracel’s pulp mill come at US$3.15 million invested per job. At the same time, many thousands of livelihoods were lost when farm lands were taken over for Veracel’s plantations. We visit a village, or what’s left of it. Villagers tell us that many people have moved away since the eucalyptus arrived 18 months ago. In one commune almost everyone has moved away. “There are no jobs here now and no money from the eucalyptus,” one of the villagers tells us. Business at the local shop is down by 80 per cent. The villagers show us their cemetery, or what’s left of it. Veracel has planted eucalyptus right up to the cemetery, and even taken some of the cemetery land. The cemetery is completely walled in by eucalyptus. To find it, we have to drive between the rows of eucalyptus. Villagers tell us about the river, or what’s left of it. The river near the village is drying up. It is polluted by chemicals from the plantations. Plantation workers clean their tractors in the river which further pollutes the water. Fish and cattle have died as a result. In common with all the pulp mills we’ve ever visited, the Veracel pulp mill stinks. José Marinho Damaceno is a small cattle farmer who lives on the Jequitinhonha River, just opposite Veracel’s effluent discharge. He complains of headaches and irritated eyes. He describes the smell as rotten cabbage. When the smell is too bad, he has to leave his farm. Damaceno wants to leave Veracel for good, but first he has to sell his land. In April 2004, about 2,000 families from Brazil’s Landless Workers’ Movement (MST – Movimento dos Trabalhadores Rurais Sem Terra) occupied 25 hectares of land and cut down four hectares of Veracel’s eucalyptus trees.”Nobody eats eucalyptus,” they shouted as they occupied the land and started planting corn, manioc and beans. Veracel is typical of new developments in the pulp industry. It is extremely large scale – at 900,000 tonnes a year, it’s the world’s largest single-line bleached eucalyptus pulp mill. The project is extremely capital intensive. Financing came from tax-funded banks in the North (the European Investment Bank and the Nordic Investment Bank). Subsidies came from the Brazilian state. Machinery for the pulp mill came from Europe and Scandinavia. The pulp produced at Veracel is almost entirely for export. The bigger the pulp mill, the bigger the plantations required to feed it. The bigger the plantations, the bigger the impact on local communities and their environments. But the scale of modern pulp mills is not only driven by the pulp industry’s demands for efficiency and profits. It is partly driven by the peculiarities of global finance. Much of the funding for the expansion of pulp capacity worldwide comes from syndicated loans, bonds or equity offerings. In order to raise capital, companies need a credit rating, need to be listed on a stock exchange and need an issue size of at least US$100 million, all of which tends to limit access to international capital markets to the larger players. Large companies can secure financing in the international capital markets and it is easier to get funding for a massive mill than it is to get funding for a smaller project – an incentive to build larger mills than are actually needed. Companies and financiers tend to favour export-oriented pulp operations because this reduces the risks of a devaluation of the country’s currency. As export earnings are in dollars, local currency devaluation can even boost an exporting company’s profits – costs are in the local currency, earnings are in dollars. However, the pulp industry is not particularly good at making money. Even pulp producers with very low production costs do not provide high returns to their shareholders. According to PricewaterhouseCoopers, the pulp and paper industry’s return on capital employed is “well below the 10% target considered necessary to ensure long term success”. In 2005, according to PwC, the average return on capital employed by the top 100 pulp and paper companies was 4.5 per cent. Investments in the pulp sector seem to have more to do with the fact that investors look to diversify their investment portfolios, both geographically and across industrial sectors. The Veracel pulp mill, in common with almost all of today’s new pulp mills, is dependent on a large area of industrial tree plantations for its supply of raw material. Advice for the pulp mill and plantations (as well as an environmental impact assessment) came from Pöyry, the world’s largest forestry consulting firm. A landscape and ecosystem covering 1,000 square kilometres has been simplified, industrialised and is now focussed on production for the pulp mill. Small-scale local businesses have gone. Local needs are ignored. The sole purpose of industrial tree plantations is to provide large volumes of small-diameter logs as quickly and as cheaply as possible. The most important purpose of industrial tree plantations worldwide is to provide raw material for the pulp and paper industry (other plantations supply wood for panel products and reconstituted boards, some supply charcoal, and some sawn logs). In a 2003 report, the Centre for International Forestry Research (CIFOR) defined industrial tree plantations as intensively managed commercial plantations consisting of single species producing industrial round wood at high growth rates and harvested on short rotations (less than 20 years). These plantations may be owned by companies or may be a large number of contract farming plantations owned by smallholders. CIFOR estimates that there are some ten million hectares of fast-wood plantations worldwide, an area that is increasing by about one million hectares a year. However, this figure excludes pine plantations in New Zealand, southern US, Brazil, Chile, Australia, Spain, South Africa and Uruguay on the grounds that these plantations have a long rotation (more than 20 years). This type of plantation covers between 20 and 30 million hectares of land worldwide. Increasingly, industrial tree plantations are being established in the global South to feed massive new pulp mills. Wherever they have been established, pulpwood plantations have created serious problems for local communities. “As swatches of exotic trees invade native woodlands, grasslands, farmlands and pastures, the results in country after country, have been impoverishment, environmental degradation, and rural strife,” write Ricardo Carrere and Larry Lohmann in their book Pulping the South. Industrial tree plantations are a threat to biodiversity. E.O. Wilson, a Harvard biologist and Pulitzer Prize winner, estimates that pine plantations in the south of the US contain 90 to 95 percent fewer species than the forest that preceded it. He compares the effects of tree farms on biological diversity to “building a line of Wal-Marts”. Plantations are a threat to water resources because fast growing trees require large amounts of water. The pulp industry has led to increased rates of deforestation because native forests are logged to supply wood to pulp mills and because forests are cleared to make way for plantations. Industrial tree plantations increase rural poverty. The fact that plantations require large areas of land causes problems for local communities because the land is crucial to their livelihoods. Whether it is community forest, farmland or part of villagers’ rotational agricultural system, such land is often described as “degraded” by forestry experts and plantation proponents. When the land is converted to tree plantations, however, local livelihoods are destroyed. The jobs provided by the industry are few and those provided are dangerous. Plantations are often established several years before the associated pulp mill starts up, which means that rural communities are displaced and people are forced to move away from the area to look for work. Then, thousands of people move into the area to work on building the pulp mill, only to become unemployed once the construction is finished. Pulp mills are heavily mechanised and provide few jobs. In any case, the jobs usually do not go to people from the local area. After the plantations have taken away villagers’ land and impaired their livelihoods, the pulp mill starts up. At this point, villagers still living in the area discover that pulp mills pollute the air and the water in their rivers. The following sections look at some of these problems in more detail. Communities in Las Flores in Western Uruguay found that the water level in their wells dropped by up to 60 per cent after their villages were surrounded by eucalyptus plantations. Local crops such as watermelons and peanuts dried up. “At first the plantations were far away, but little by little they kept moving closer,” Alfredo Bazzini told the US-based NGO CorpWatch. “When they reached to just a few meters out of town, the water ran out and the land died.” Families that lived off the land were forced to move away. Las Flores is now known as Pueblo Seco, or “Dry Town”. A series of scientific studies from South Africa show reduced water flows as a result of eucalyptus plantations. One study showed that stream flow dried up completely nine years after eucalyptus was established. The streams only recovered five years after the eucalyptus was clearcut. Villagers in KwaZulu Natal province in South Africa list “diminished water” as one of the key problems caused by industrial tree plantations. “Where there are a lot of plantations there is a lot less water”, a villager explained at an NGO meeting in November 2005. As a result, “farming production is very limited”. South Africa has passed laws controlling the establishment of new areas of plantations because of the impact of the plantations on the water table. Plantation proponents argue that industrial tree plantations take the pressure off logging natural forests. But the reality is that plantations are often a cause of forest destruction. Some countries, such as Brazil, have large areas of plantations and high rates of deforestation. Often the causes of deforestation – such as conversion to soy or oil palm plantations, or the flooding of forest for large-scale hydropower dams – have nothing to do with supplies of timber. Timber from native forests is in any case destined for a different market to that from fast-growing industrial tree plantations – for furniture or construction, for example. 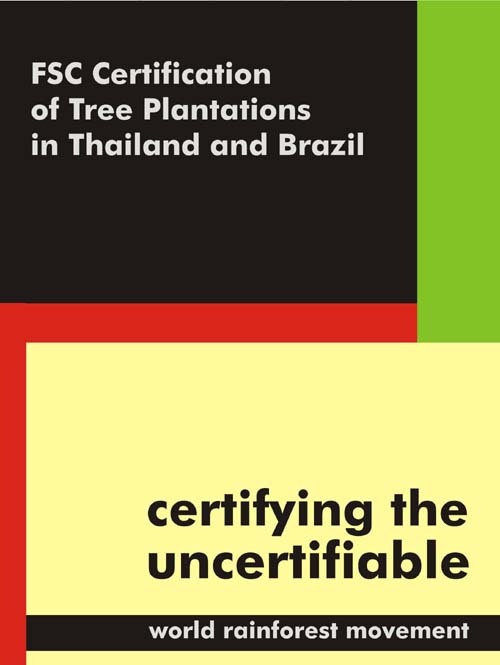 In its 2003 report on “Fastwood” plantations, CIFOR notes that “there is little evidence to suggest that fast wood plantations have taken pressure off natural forests elsewhere”. Thailand’s Advance Agro is owned by Soon Hua Seng. The company is notorious for clearing forest to make way for its plantations. In 1990, 156 employees of Suan Kitti, a Soon Hua Seng subsidiary, were arrested for illegally logging a forest area in order to establish eucalyptus plantations. After the scandal, Soon Hua Seng hired a Finnish public relations company, Presko, and changed the name of the subsidiary setting up the pulp mill from Suan Kitti to Advance Agro. In Indonesia, vast areas of forest have been cleared to make way for industrial tree plantations, particularly in Sumatra, where Asia Pulp and Paper (APP) and Asia Pacific Resources International Holdings (APRIL) built their enormous pulp mills. The pulp mills were designed to use raw material from forests and to gradually switch to wood from plantations. APP’s Indah Kiat pulp mill missed a series of deadlines to use only raw material from plantations. The company still does not have enough plantations to feed its mill. The result has been massive deforestation. “We estimate that around 450,000 hectares of natural forests have been cleared over the past five years to supply APP’s pulp mill in Riau,” says Nazir Foead, WWF-Indonesia’s Director of Policy and Corporate Engagement. None of this has prevented APP from raising finance to expand its pulp operations. In March 2007, APP announced that it intends to increase its annual pulp production capacity in Sumatra by 800,000 tonnes. By the end of 2001, there were approximately 1.4 million hectares of industrial tree plantations in Indonesia. Of this area, according to CIFOR, approximately half was established on land that was previously forested. CIFOR recommends that no more forest should be converted to tree plantations because the economic costs are greater than the benefits. According to CIFOR’s calculations of the total economic value of logged over forests, (including timber, fuel wood, non-timber forest products, soil and water conservation and flood protection) the conversion of 1.4 million hectares of logged over forest to industrial tree plantations, results in a total loss to the country of at least US$3 billion. In Chile, between 1978 and 1987, 31 per cent of the forests in the coastal region were converted to plantations. During the 1970s, Brazilian pulp company Aracruz cleared about 50,000 hectares of Atlantic rainforest and replaced it with eucalyptus monocultures in the state of Espirito Santo. Pairs of tractors with a chain tied between them drove through the forest, destroying everything in their path. Animals were crushed by falling trees or machinery. Aracruz has also been fined by IBAMA, Brazil’s environmental protection agency, for clearing and planting in protected areas. Plantations have not only had a serious impact on forests. In South Africa, for example, industrial tree plantations have replaced species rich grasslands, which rural communities previously used as pasture for cattle. The problem is exacerbated in South Africa by the fact that exotic trees (eucalyptus, acacia and pine) have become weeds and have spread outside the plantations. South Africa’s Water Affairs and Forestry Minister, Buyelwa Sonjica, acknowledges the problem of invasive tree species: “The problem is that alien invasive trees tend to go to the very areas that responsible forestry industry avoids – riparian areas, steep slopes, wetlands and other areas where the impacts are more severe.” The South African NGO coalition Timberwatch estimates that an area as large as the established plantations has been invaded by exotic tree species. In a 2001 report for ILO, Peter Poschen and Mattias Lövgren note that “Forestry work is also beset by serious health problems. Few workers reach normal retirement age.” Accidents with chain saws are frequent. Workers are at risk of being crushed by falling trees. Others suffer spinal injuries from moving eucalyptus trunks. Particularly at risk are people employed to apply chemicals to the plantations. When jobs are contracted out, workers often lose the few benefits they had. Since 1980, almost all timber harvesting in Chile has been carried out by contractors. A 1998 survey of forest workers in Chile found that two-thirds of workers saw a reduction in pay and benefits and half lost out on pensions when their jobs were contracted out. During the 1990s, South Africa saw a rapid expansion of the number of contracted labourers in silviculture, harvesting and transport. The wages of manual workers employed by contractors in South Africa are between US$50-75 a month compared to US$75-100 or more for those employed by companies. Company workers are entitled to pensions and medical benefits. Outsourced workers receive neither. Mondi is one of the largest private land-owners in South Africa. According to the company’s figures Mondi employs a total of 2,375 people. It has about 450,000 hectares of plantations, which works out at only one job for every 200 hectares of plantations. The situation in plantation areas is even worse than these figures imply, because the total number of people employed includes jobs in Mondi’s offices and mills. Recent figures from the Agricultural Census in Uruguay indicate that plantations generate fewer jobs than extensive cattle-ranching. Weyerhaeuser owns 128,000 hectares of land in Uruguay, of which 71,000 hectares are plantations. According to the company’s own information, Weyerhaeuser directly employs only 130 people. That works out at only one job per 555 hectares of plantations. In Brazil, a recent study by the Brazilian NGO FASE analysed the jobs provided by Aracruz. Since the 1980s, employment at Aracruz has fallen and many jobs have been sub-contracted. In 2002, Aracruz opened a new US$600 million pulp line, which created only 173 new jobs. Planting coffee on small land holdings provides more than 100 times as many jobs per hectare as Aracruz’s eucalyptus plantations, according to the FASE study. After a logging company has left the forest, villagers still have the possibility of rebuilding their livelihoods. The forest can regenerate, timber and non-timber forest products can still be collected and swidden fields can be cleared. None of this is possible once an industrial tree plantation occupies villagers’ land. In Laos, forests and common land are an important part of rural communities’ livelihood systems. Even heavily disturbed forests provide a range of goods, including resin, firewood, grasses for roofs, mushrooms, insects and frogs. Many villagers use common lands and forested areas to graze their cattle. It is often the poorest villagers, those with the least land, who are most dependent on forests for their livelihoods. After a decade-long project supporting the development of industrial tree plantations in Laos, the Asian Development Bank (ADB) concluded that the project had increased poverty. The ADB-funded project gave loans to companies and farmers to plant eucalyptus trees. According to a report produced by the ADB’s operations evaluation department, the project “failed to improve the socioeconomic conditions of intended beneficiaries, as people were driven further into poverty by having to repay loans that financed failed plantations.” Bank reports describe how under the project “healthy forest” was converted to tree plantations, strips of forest around streams lakes, ponds and rice paddies were destroyed and planted with eucalyptus, nesting or fruit bearing trees were removed, and trees or plants which provided non-timber forest products for villagers were destroyed. A loan for a second plantation project in Laos was approved by the ADB’s board in February 2006, but cancelled one year later, in part because NGOs and researchers had documented and exposed the problems caused for local communities by the plantations established under the first loan. Recently, in Vietnam, researchers at CIFOR attempted to answer the following two research questions: how forests help to alleviate poverty; and whether the plans in Vietnam for large scale tree planting are consistent with the government’s goal of eliminating poverty. They concluded that their questions could not be answered, because “there has not yet been any primary empirical research directed specifically at answering these questions”. Yet millions of dollars of aid money continues to pour into Vietnam aimed at increasing the area of industrial tree plantations, in the name of poverty alleviation. Pulp production is energy intensive. Globally the pulp and paper industry is the fifth largest industrial consumer of energy, accounting for four per cent of electricity use by industry. The pulp industry is keen to promote the impression that it consumes large amounts of renewable energy. The Confederation of European Paper Industries (CEPI) argues, for example that the paper industry is “Europe’s biggest industrial user and producer of renewable energy”. But the pulp industry remains a large consumer of conventional energy, a fact demonstrated by looking at Finland – a major producer of pulp and paper. The Finnish pulp and paper industry remains heavily dependent on coal. In 2005, when a strike brought the pulp and paper industry in Finland to a halt, the amount of coal burned in Finland fell to very low levels. UPM (Finland) and Stora Enso (Sweden-Finland) are both major customers and shareholders in Pohjolan Voima, a Finnish power company. Pohjolan Voima owns 57 per cent of Teollisuuden Voima, which is currently building Finland’s fifth nuclear power plant. In Europe, the use of wood as biofuel has begun to compete with pulp and therefore increased the cost of wood. The CEPI is lobbying for intervention at the EU level, by pointing out that European policies promoting renewable energy sources are “putting pressure on the availability of the pulp and paper industry’s main raw material.” At the same time, the pulp industry in the North is looking at the possibility of converting pulp mills to biorefineries, to produce biofuels. But whether pulp mills are used to produce pulp or biofuel, the globalised structure of the industry remains the same. It is twice as cheap to grow wood in Brazil as in Sweden. Increasing the demand for wood in the North (whether for biofuels or for pulp) will drive the expansion of industrial tree plantations in the South. Industrial logging and plantation establishment inevitably release large amounts of carbon held in forest biomass and soils. Plantation establishment on peat soils, as is happening today in Indonesia for pulpwood and oil palm, is responsible for more than a billion tonnes of CO2 emissions annually, making Indonesia the world’s third largest greenhouse gas emitter, after the USA and China. In addition to the production of paper, a significant source of greenhouse gases is related to the disposal of paper. Most paper is eventually dumped in landfills, where it emits methane when it decomposes. More greenhouse emissions occur during the transportation of woodchips and pulp – both of which are increasingly produced on the other side of the world from the paper mills that end up converting them to paper products. Pulp mills are one of the most polluting of industrial processes. Health risks from pulp mill pollution include cancer, lung diseases, reproductive and hormone problems, heart disease, immune system damage and skin diseases. Pollution from APP’s Indah Kiat pulp mill in Sumatra has killed the fish in the Siak River, destroying the livelihood of people living along the river. Medical professor Trabani Rab has been monitoring the impacts of Indah Kiat’s mill on villagers’ health for several years. German film-makers Inge Altemeier and Reinhard Hornung travelled with him for their 2000 film, “The dirty business of white paper”. In two days travelling along the River Siak, he diagnosed more than 500 cases of serious skin diseases. The pulp industry has developed alternative technologies which could significantly reduce the pollution from pulp mills. For example, total chlorine free (TCF) production removes all use of chlorine from the production process. The industry also talks about a goal of “closed loop” pulp production, where chemicals and waste are recycled and re-used as part of the production process. These technologies have been available for well over a decade. However, instead of converting existing pulp mills and building new pulp mills using TCF and closed loop technology, the pulp industry and its proponents have launched a publicity campaign in favour of elemental chlorine free (ECF) production. By reducing the debate to ECF versus TCF, the industry has succeeded in deflecting discussion from looking at other potential raw materials and overhauling the way pulp and paper is produced. That the industry has failed to incorporate closed loop technologies, even in the most modern mills currently being built in the South, is an indication of how resistant it is to change. Of course, if the financing of pulp mills were conditional on adopting the least polluting technologies, the plans for expansion of the industry would have to incorporate TCF and closed loop technologies. The structure of the pulp industry has many built-in problems, of which financiers should be aware. This chapter deals with the issues of overproduction, overconsumption and the pulp industry’s dependence on subsidies. The price of pulp on the world market is cyclical. When the price of pulp is high, companies invest in new pulp mills. Eventually this results in a glut of pulp on the market and the price crashes. It takes several years to build a pulp mill, so even after the price has crashed, new pulp mills already under construction continue to come on-line. The price of pulp drops further. At this point, the industry stops investing and leading players look to take over other companies to increase their market share and control over prices. Companies also seek to vertically integrate operations (a company which sells pulp from one of its mills to its own paper mills can produce paper more cheaply and is thus less affected by a downturn in the global pulp price). Pulp prices have increased since a low point in 2005. However, the pulp industry is currently expanding faster than the rate at which demand is increasing. “Pulp capacity growth in 2007 will be more than 4%, significantly outpacing demand. The resulting decline in operating rates will pull down prices,” according to the industry journal Pulp and Paper International. Between 2006 and 2008, 4.5 million tonnes a year of new pulp capacity is expected to start operations in South America alone. The vast majority of this pulp is intended to be sold to China. But Pulp and Paper International notes that “Growth of Chinese imports of bleached hardwood kraft (BHK) in the 2006 to 2008 period will be less than half of the growth in bleached eucalyptus kraft (BEK) production in South America alone.” If China buys less than half of the pulp produced in South America’s new mills, the industry must find new markets, store pulp or reduce production by temporarily closing down mills. As a result, South American producers are increasing sales promotion in Europe and North America. South American pulp sales people are already visiting small paper mills in the USA, to persuade them to buy imported eucalyptus pulp instead of maple, aspen and mixed hardwood pulps that they currently use. In 1961, total world consumption of paper stood at 78 million tonnes. Forestry consulting firm Pöyry estimates that world demand for paper and paperboard will increase from 365 million tons in 2005 to 494 million tons by 2020 – an average growth rate of 2 per cent a year. But Pöyry’s figures are part of a self-fulfilling prophecy – it is in the company’s interest to boost predictions of future paper consumption. The more paper we appear to “need”, the more pulp and paper mills “need” to be built and the more work there will be for consulting firms like Pöyry. Meanwhile companies are constantly looking for new ways of using paper, for milk cartons, food packaging, kitchen towels, cardboard furniture, coffee cups, direct marketing, advertising and so on. The overproduction has more to do with the needs of companies to continue expanding and to maximise profits than with meeting a “market demand”. Alternatives to massive paper consumption already exist. To name just one of many: Electronic data storage and communication can reduce paper use (provided that emails and files are not printed). Estonia has become a world leader in this regard with a paperless government and the whole country utilizing e-voting and internet banking. Figures of global paper consumption hide the fact that the vast majority of paper consumption takes place in North America, Western Europe and Japan. In 2005, the average per capita consumption in the North was 172.38 kilogrammes while in the South it was 23.55 kilogrammes. In the USA, average per capita consumption was 297.5 kilogrammes. Pulp and paper industry proponents often argue that paper is needed for education. Because literacy is crucial to development, paper use should be increased, they say. Yet while the average person in Vietnam uses about five per cent as much paper as the average person in the USA, literacy rates in the two countries are similar. Paper consumption, above a certain minimum, has little or nothing to do with literacy rates. While Vietnam’s pulp and paper industry is expanding rapidly, most of the expansion is to produce packaging paper for exported goods, not to produce reading materials. About one-half of all paper produced worldwide is for packaging. The countries where new pulp capacity is being built are not countries with a high demand for paper products. Brazil’s average per capita consumption in 2005 was 39 kilogrammes. In Uruguay the figure was 36 kilogrammes. As Ricardo Carrere of the World Rainforest Movement points out, there is no shortage of paper in Uruguay. The new pulp capacity being produced in Uruguay is for export. The expansion of industrial tree plantations in the global South is a form of new colonialism. Vast areas of land are being taken over to provide the raw material for paper. The benefits of this new colonialism go predominantly to consumers in the North, where the paper industry is constantly creating new demands for its products. The impacts, however, are felt by rural communities in the South. Despite the structural problems of overconsumption and overcapacity of the pulp industry, plantations and new pulp mills are heavily subsidised. 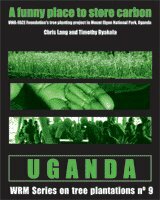 These subsidies come from Northern governments in the form of “development aid” as well as from Southern governments in the form of cheap land, cheap labour, tax relief and, if necessary, the willingness to send in the police or military to resolve land disputes. Before the first bulldozer arrives to start clearing for plantations on the pulp mill construction site, consulting firms have won millions of dollars-worth of contracts promoting and establishing industrial tree plantations as well as studying and designing the pulp mill. In Uruguay, for example, industrial tree plantations were promoted in a series of aid projects starting in 1951 with a UN Food and Agriculture Organisation/World Bank mission. In the mid-1980s, the Japanese International Cooperation Agency funded a feasibility study of building a chemical pulp mill in Uruguay. Uruguay’s National Forestry Plan of 1988 is based on a JICA study on establishing tree plantations in Uruguay. This was followed by a World Bank forestry loan to Uruguay with which the government set up a series of subsidies to the plantations industry, including tax exemptions, partial refund of plantation costs, long-term soft loans, reduced duty on machinery and vehicle imports, construction of roads and bridges and equal benefits for foreign investors. WRM calculates that by 2000, the Uruguayan state had given away more than US$400 million in direct and indirect subsidies to the plantation industry. The Botnia mill in Uruguay is a prime example of the lavish subsidies that are handed out to the industry. The pulp mill is in a specially created tax-free zone. Before the pulp mill project started, the Uruguayan government signed an agreement with the Government of Finland, which is, in effect, an agreement with Botnia. Under the agreement, the Uruguayan government is forced to pay compensation to Botnia for any losses, caused by, among other things, riots. Earlier this year, the government sent in police and military to protect the construction site against possible disruption by demonstrations. the Nordic Investment Bank (US$70 million). In addition, Finnfund, a Finnish state-owned “development finance company”, has given three loans to Botnia’s plantation subsidiary Forestal Oriental to help establish eucalyptus monocultures to feed the mill. In Indonesia, the massive development of industrial tree plantations and the pulp industry was also catalysed by the World Bank. In 1984, the World Bank funded a report titled “Strengthening the structure of the Indonesian pulp and paper sector”. Four years later, the Asian Development Bank funded a project to identify sites for the development of the pulp industry in Indonesia. Finnish forestry consulting firm Pöyry carried out both contracts. Pöyry went on to win contracts for several of the pulp mills subsequently built in Sumatra. The Indonesian government, in common with many governments in the South, has handed over large tracts of forestland to plantation companies, often for very low rents. In many cases, these forests are the customary territories of indigenous peoples. When communities in Indonesia have protested at the loss of their lands, the state has often sent in armed police or the military – another form of subsidy to the pulp and paper industry. The fact that pulp mills in Sumatra have relied for years on timber that is illegally logged can also be viewed as a subsidy to the pulp industry. Another subsidy from the Indonesian state came in 2001, when APP defaulted on its US$13.9 billion debt. The state took on more than US$1 billion of APP’s debt through the Indonesian Bank Restructuring Agency. The pulp and paper industry’s dependence on such massive subsidies is a clear indication of the low profitability of the industry. It also means high financial risks for investors and financiers if subsidies are revoked or decreased. Given all the problems associated with the pulp sector, we might think that investors and financial institutions would be wary of financing pulp and paper projects or associated companies or at least, that they would conduct extremely careful due diligence before doing so. Far from it, according to a report by CIFOR released in 2006. The report, “Financing Pulp Mills: An Appraisal of Risk Assessment and Safeguard Procedures”, analyses 67 pulp mill projects financed between 1995 and 2004. 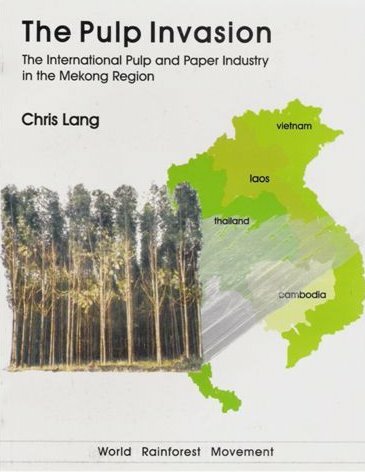 The report’s author, Masya Spek concludes that inadequate research into proposed pulp projects “may lead to a new wave of ill-advised projects, setting up investors, forest-dependent communities and the environment for a precipitous fall.” CIFOR’s Chris Barr describes the problem as “the low-fact financing of pulp mills”. The lack of due diligence in pulp mill financing is particularly glaring regarding the supply of raw materials. CIFOR compares financing of the pulp industry to financing of the oil industry. Oil companies are valued according to their proven oil reserves. It is one of the first things that potential financiers look at. For pulp companies, however, banks seem unconcerned about their access to raw materials. They simply assume that there are ample supplies of raw materials for this sector. Availability, cost and even the legality of the wood are often not considered. There are two main types of financing to pulp mills: public and commercial finance. CIFOR notes that most new pulp mills involve some form of government or multilateral support, while pulp capacity expansions tend to be financed through commercial financing (loans, bonds or equity issues). This section looks at each of these in turn. From the 1960s to the end of the 1980s, multilateral development banks were “significant catalysts in the funding of new pulp mills”, writes CIFOR. During the 1990s, the World Bank produced a new forest policy, which limited Bank-financing of commercial forestry projects. As a result, in the last decade, multilateral banks provided only US$1.9 billion to the pulp sector. But since 2002, the World Bank has adopted a new forest policy which drops many of the old safeguards and paves the way for massive new investments in industrial forestry projects. As a result, the World Bank is financing large pulp mills again. Development finance plays a key role in the expansion of the pulp industry. Multilateral and bilateral aid often finances the consulting firms which provide advice in favour of establishing plantations and building pulp mills. In Indonesia, for example, the World Bank has expressed support for the government’s plans to expand the area of pulp plantations by five million hectares. New pulp mills themselves are often aid financed and export credit agencies in the North back the manufacture and export of machinery. CIFOR notes that the multilateral banks act as “arbiters of quality, in which role they are implicitly recognised by the private sector”. Often commercial banks will agree to finance a scheme once multilateral financing is in place. However, the fact that a multilateral bank has agreed to finance a project is no guarantee of quality as the number of aid-financed boondoggles littering the global South clearly indicates. The multilateral banks most involved in pulp mill investment in the last two decades are the International Finance Corporation (IFC) and the European Investment Bank (EIB). Both have a mandate to lend to the private sector. In Asia, the Asian Development Bank has supported the expansion of the pulp industry through its loans to governments. According to its mission statement, IFC exists to “promote sustainable private sector investment in developing countries, helping to reduce poverty and improve people’s lives.” IFC loans are supposed to be directed to developmentally beneficial projects which cannot raise sufficient capital on reasonable terms from commercial banks. IFC often requires that it is engaged as a paid adviser on the structure and financing of a project before actually making an investment. IFC usually brings in a syndicate thus ensuring additional finacing. Although IFC has standards which must, in theory at least, be met before the bank can approve a loan; in practice, if a project does not meet its standards, the IFC attaches conditions for improvements to the loan. As CIFOR points out, once the funds are disbursed, there is little that IFC can do when a company proves unwilling or incapable of improving its operations. IFC has a Forest Product Sector team which is actively looking for potential forestry projects to finance. “We are open for business,” is how a senior investment officer with IFC, put it at a packaging industry conference in 2005. IFC has financed several plantations and pulp projects in China, including Sino-Forest (Canada), Jiangxi Chenming Paper Company (a joint venture between South Africa’s Sappi, South Korea’s Shinmoorim and two Chinese companies, Chenming Group and Jiangxi Paper Industry Company) and Stora Enso (Sweden-Finland). In November 2004, the IFC approved a US$50 million loan to Aracruz to finance the expansion of the company’s pulp and plantation operations in Brazil. The IFC gave the loan in spite of ongoing land disputes between the indigenous Tupinikim and Guarani people and the company. In response to an NGO letter protesting the loan, IFC claimed that “land dispute issues were fully reviewed during IFC’s appraisal”. IFC’s review was, however, based largely on information provided by the company. IFC staff made no attempt to talk to Guarani and Tupinikim indigenous peoples who were (and still are) involved in a land dispute with Aracruz. Neither did IFC talk to members of Brazil’s Landless Peasants Movement (MST), which had occupied an area of Aracruz’s plantations in April 2004. In May 2005, Guarani and Tupinikim reclaimed part of their land from the company, cutting thousands of eucalyptus trees and rebuilding two villages. Aracruz repaid the IFC loan in full shortly after the company was involved in a violent eviction of the villagers in January 2006. More than 80 per cent of the ADB’s loans to the forestry sector have been spent on plantation projects. In total, more than one million hectares of plantations have been established using ADB financing, including 775,000 hectares of commercial plantations. In addition to financing plantations, the ADB has funded research into the expansion of the industry in countries like Indonesia, where the pulp industry has had devastating effects. In Laos, the ADB’s Industrial Tree Plantations Project created and increased poverty, according to the Bank’s own project completion report. Nevertheless, the Bank approved a second plantations project which would repeat the mistakes of the first. In its appraisal of the second project, the Bank ignored the findings of its own consultants, who reported that “discussions with farmers (women and men) in the 6 villages revealed that their priorities in livelihood improvement do not include tree plantations of the kind offered by the proposed project.” Yet as part of this second project, the ADB attempted to set up a Lao Plantation Authority, which would have been a “one-stop window for private investment in plantations”, according to Akmal Siddiq, an economist at the ADB. The Bank ended up cancelling its loan as a result of internal and external criticisms and when the Lao government declined to agree to the Bank’s loan conditions. In 2000, the ADB started a forest policy review which was supposed to result in a new forest policy by the end of 2002. The Bank has still not produced its new forest policy and rumours have emerged that the Bank may pull out of financing forestry projects. Export Credit Agencies play an important role in financing machinery and equipment purchases by pulp mills. While ECAs allow the purchase of modern equipment which is less polluting, changes in pulping technology mean that the production capacity of new pulp mills has increased substantially, meaning more demands on raw material, water and energy supply as well as needing transport and logistical infrastructure around the mill. In many cases, smaller pulp mills would make more sense, but political and economic factors mean that the biggest mill possible is constructed. The Export Import Bank of the US (US Ex-Im) was the first ECA to apply environmental screening to their projects, based on World Bank operating guidelines. However, this did not stop US Ex-Im from supporting APP’s incredibly destructive operations in Indonesia. Several other export credit agencies also supported APP, including Hermes (Germany), the Finnish Guarantee Board, Exportkreditnamnden (Sweden), Export Development Canada, CESCE (Spain) and Exportkreditfonden (Denmark). “We in Indonesia want the taxpayers of the industrialized world to stop subsidizing the expropriation of our land, the destruction of our environment, and the ruination of public health through ECA projects”, says Titi Soentoro of Bioforum, a coalition of 70 Indonesian NGOs. Pulp mills are extremely capital intensive. As such the financiers of pulp mills play an important role in deciding which pulp mills get built and where. The record so far is not impressive. CIFOR’s report on the financing of pulp mills notes: “In many cases critical risk factors are not addressed.” Financiers have failed to weed out the bad projects from the good. Of particular concern is the lack of attention paid to the source of raw material to feed the mills. When APRIL carried out its initial public offering in 1995, the prospectus stated that the successful operation of the Riau Andalan pulp mill was a key risk factor. But details of wood supply to the pulp mill was “non-reviewed information”. APP and APRIL built their enormous pulp mills in Sumatra before establishing tree plantations. They did so with funding from a wide range of commercial banks and financial institutions, including ABN Amro, Barclays, Credit Suisse First Boston, Deutsche Bank, Dresdner Bank, HypoVereinsbank and Commerzbank. None of these banks appeared concerned that the pulp mills did not have an adequate source of raw material. The result has been a massive increase in the rate of deforestation, illegal logging and land conflicts in Sumatra. Part of the problem lies in the superficiality of the credit risk assessment process. Lenders and investors rely on information from credit risk agencies and securities analysts and carry out little research when information is not given, for example about fibre supply. When problems arise, the damage has already been done. Even if a company receives a credit downgrade, this is “reactive rather than predictive”, writes CIFOR. Analysts’ reports of pulp companies rarely pay sufficient attention to the issue of fibre supply to pulp mills. Reports tend to use company statistics rather than drawing up a framework of information that is needed and critically analysing companies’ data. Banks also often rely on assessments by consulting firms for valuation reports, feasibility studies or industry overviews. According to CIFOR, however, financiers often fail to read the actual reports and use the mere existence of the report to prove that the project is acceptable. In addition, many of the consultant firms utilised are biased towards the industry and pay little heed to environmental and social risk factors. Once a company has launched its Initial Public Offering and goes back to the market for debt or equity, the due diligence process is repeated but the process is simpler as the company already has a track record in the market. Thus, the quality of the due diligence process sinks even further and key risks are often overlooked. risk. In the case of pulp mills, each of these risks is potentially serious. The political risks associated with pulp mills are perhaps best demonstrated in Uruguay, where the construction of Finnish company Botnia’s pulp mill has led to a major diplomatic conflict between Argentina and Uruguay. The Argentinian government was so concerned about pollution from the pulp mill that it took Uruguay to the International Court of Justice in The Hague, claiming that Uruguay is in breach of the Statute of the River Uruguay. Although construction is almost complete, the diplomatic row continues. At the end of April 2007, Madrid hosted negotiations between the two governments, moderated by Spain’s permanent representative to the United Nations, Juan Antonio Yáñez-Barnuevo. At the end of the three days of discussions, the governments of Argentina and Uruguay signed a joint declaration to work towards an amicable solution. Representatives agreed to meet again in one month’s time. At this future meeting the possible relocation of the pulp mill is firmly on the negotiating table. In Indonesia, the land rights of indigenous communities are assured in the Indonesian constitution. During the Soeharto dictatorship (1965 – 1998), however, the national government established much of the national forest estate without respecting these rights. Since the fall of Soeharto, indigenous communities across the archipelago have been reasserting their rights over their customary lands. As an example, in 2001, APP lost one quarter of its concession in Jambi (70,000 hectares) due to the successful struggle of indigenous communities to regain their territories. This situation of overlapping land claims is found throughout Indonesia and poses a political risk to investors in the pulp and paper sector. Indigenous communities that regain control of their customary lands rarely plant pulpwood due to the infrequent and low income that this tree crop generates. Another form of political risk involves changes in environmental laws, or changes in the way environmental laws are implemented. While many governments in the South have environmental laws, these are often not implemented consistently. But this can change if a new government decides to implement existing pollution laws more strictly. It may decide to make regular, thorough inspections of pulp mill emissions. The result for pulp companies which rely on government officials turning a blind eye to the pollution from their mills, could be expensive changes in operating processes or retrofitting of pulping machinery. Citizens’ protests against industrial tree plantations and pulp operations can lead governments to reassess land use plans. Modern pulp mills rely on large areas of industrial tree plantations. Companies can only establish these plantations when the government puts in place legislation allowing corporations to control large areas of land. Concessions for plantations are often leased to corporations for very low rents. But there is no guarantee that governments will continue to hand over their countries’ land. Recently, the Vientiane Times reported that the Lao government “would stop approving land concessions for investors on an indefinite basis, or until a more comprehensive strategy could be devised”. The banks which allowed APP to amass debts of US$13.9 billion found out the hard way about financial risk. In March 2001, APP defaulted on its loan repayments. Complex debt restructuring negotiations resulted in a debt restructuring package covering US$6.7 billion which was signed by 93 per cent of APP’s creditors in 2005. Other creditors went to court to attempt to get their money back and in April 2007, some bondholder creditors won a motion filed at the New York State Supreme Court, which ordered APP to repay the creditors. But despite its debt problems, APP continues to expand and still manages to raise finance. In 2004, Germany’s Euler Hermes provided export credit insurance for APP’s expansion in China, apparently having learned nothing from the company’s massive debt default and horrendous environmental track record. In the meantime, Greenpeace China has documented how APP has stablished eucalyptus plantations inside a protected area in Hainan and is logging illegally in Yunnan province. Legal risks associated with pulp mills can take many forms and are often inadequately appraised before financiers agree to invest. Land rights in many countries in the South, for example, are fiendishly complex. While a plantation company may appear to have the necessary legal documents to establish its plantations (or in some cases may have illegally paid for the land titles or concession permits from the authorities), there are often overlapping land rights, for example from indigenous peoples living in the area. Financiers cannot simply take the information provided by the company as an adequate description of the land rights situation in the area concerned. The Tupinikim and Guarani indigenous people in Espírito Santo in Brazil have a long-running land dispute against Aracruz. Their claims are backed up by a series of studies produced by FUNAI (the Brazilian Governments Indian Affairs Agency) and by the Brazilian constitution, which recognises indigenous land rights. In September 2006, FUNAI sent the land demarcation file to the Ministry of Justice for a decision on demarcating 11,009 hectares as indigenous land. Five months later, however, the Ministry of Justice returned the file to FUNAI, asking for more information. Meanwhile Aracruz has taken out a court case in attempt to hold on to the land. While the area of land under dispute is small compared to Aracruz’s total plantation area, the company is clearly worried that if the Tupinikim and Guarani regain their land, it will be the start of a flood of land claims against the company. Further north in Espírito Santo, Quilombola communities (descendants of escaped slaves) are also in conflict with Aracruz, which has occupied their traditional areas. In March 2007, a protest by Quilombola communities paralysed harvesting and transport activities for four days over an area of 550 hectares. Plantation companies can also find themselves in conflict with other industrial land users. A 2006 report by the NGO Down to Earth found a series of overlapping concessions in the plantations run by Indonesian company PT Hutan Rindang Banua (PT HRB). The plantations are supposed to supply wood to UFS’s proposed 600,000 tonnes a year pulp mill in South Kalimantan, but Down To Earth found that PT HRB’s plantation area overlaps with eleven oil palm plantation concessions, a coal mining company and small-scale mining sites used by local people. Given overlapping concessions and land claims, less than a third of the 295,000 hectare concession can be used for pulpwood plantations. Of this area only 15,000 hectares is “timber plantation in good condition”, according to Down to Earth. In countries with widely known problems of corruption, another type of legal risk stems from projects that involve “Politically Exposed Persons” or “Politically Exposed Companies”, who have illegally amassed large fortunes, diverted international aid payments or taken bribes in return for arranging favourable decisions. In 2003 for example, Indonesia passed landmark legislation making banks and other financial institutions responsible for transactions involving illegal logging and other environmental crimes. The new law identifies illegal logging as a “predicate offense” for money laundering, meaning that money laundering charges can now be applied to financial institutions engaged in projects that involve illegal timber harvesting. In November 2006, 93 NGOs from 27 countries sent a letter to Merrill Lynch, the Australian and New Zealand Banking Group (ANZ), Cornell Capital, the Development Bank of Singapore (DBS) and Cellmark identifying such risks in connection with their involvement in UFS’s pulp projects in Kalimantan. The European Union, United States, Singapore and other countries have also recently adopted or are in process of adopting new Anti-Money Laundering laws. Under these frameworks, banks are required to be most vigilant where customers are involved in businesses which appear to be vulnerable to corruption. Financial services companies “regard reputational risk as the greatest threat to their market value,” according to a 2004 study by PricewaterhouseCoopers and the Economist Intelligence Unit. The increasing number of protests against pulp mills worldwide is an indication that banks must start to take the reputational risks of getting involved in this sector more seriously. Deutsche Bank’s involvement as a financial advisor to UFS regarding its pulp projects in Kalimantan led to protests from NGOs in Germany and Austria. In November 2005, Robin Wood hung a banner reading “Shares up, rainforest flat”, from the bank’s headquarters in Frankfurt. Deutsche Bank pulled out of its involvement with UFS shortly afterwards. Pulp mills and their associated industrial tree plantations have become a focus for NGO campaigns in recent years. Increasingly, NGOs are also focussing their campaigns on the financiers of pulp mills and plantations projects in the South. The first protests against industrial tree plantations in the South took place in India, Indonesia and Thailand during the 1980s and 1990s. In Thailand, protests against eucalyptus plantations were an important part of the development of a farmers’ protest movement called Forum of the Poor. Villagers throughout the northeast of the country formed networks and protested against plans to plant eucalyptus on their land. In the early 1990s, villagers successfully overturned a plan to evict tens of thousands of people from national parks and hand over the land to plantation companies. In Cambodia, villagers have protested against several of the large land concessions that the government has handed out to companies (often to companies with close links to the government). In Pursat and Kompong Chhnang provinces villagers blocked tracks to stop workers from the Chinese-Cambodian company Wuzhishan from cutting down their community forest. Wuzhishan set up tree nurseries and started preparing land for planting but then abandoned the area and moved its operations to Mondulkiri province, in the northeast of the country, where it met further resistance from local villagers. In Chile, the Mapuche indigenous people have consistently protested the invasion of their lands by monoculture tree plantations. In December 1997, Mapuche from Lumaco, in the Ninth Region of Chile, occupied part of the plantations and burnt two trucks carrying wood out of the area. The response was state repression. By May 2006, more than 200 Mapuche were being held for trial and 11 Mapuche were in prison. The problems faced by the Mapuche are internationally known. When Chilean President Michelle Bachelet visited Madrid, the Nobel prize-winner, José Saramago, told her to “look at the Mapuche”. Protests are not confined to the pulp industry’s operations in the South. In the early 1990s nearly 1,000 people were arrested for protesting against logging for pulpwood near Vancouver Island’s Clayoquot Sound. Greenpeace is currently running a campaign against Kimberly-Clark because of its continued support for clearcutting of forests in British Columbia. In Lapland, Greenpeace is supporting the Sami indigenous people to stop logging in native forests that are essential for winter grazing of reindeer. In March 2007, Greenpeace activists hung banners at a Botnia pulp mill and a Stora Enso paper mill in the northern Finnish town of Kemi to protest the destruction of Finnish old-growth forests. Six years ago, Friends of the Earth documented the destruction caused by APP’s operations in Sumatra and pointed the finger at the more than 300 financial institutions that had financed APP over the previous ten years. Friends of the Earth demanded that no bank loans, aid or export credits should be used to fund rainforest destruction. In 2003, when the World Bank’s MIGA was considering supporting UFS’ plans to build a pulp mill in Kalimantan, 65 NGOs in 19 countries signed a letter to MIGA protesting the proposed guarantee. This was followed in November 2006, by another NGO letter to the commercial financing institutions involved in UFS’s pulp projects in Kalimantan. The German NGO, Robin Wood, is campaigning in support of the Tupinikim and Guarani struggle for land against Aracruz in Brazil. Robin Wood focussed its campaign on Procter & Gamble, one of Aracruz’s largest customers. In March 2007, Procter & Gamble sold its European tissue operations to the Swedish company, SCA. In support of these campaigns, NGOs have produced a North American Common Vision and a European Paper Vision. NGOs in Indonesia and Argentina have produced similar statements. 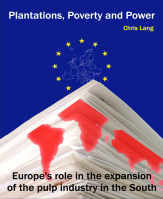 In Europe, almost 50 NGOs (including WWF, Greenpeace and Friends of the Earth) signed onto the European Paper Vision which envisions “a Europe that consumes 50% less paper than at present, produced by an industry that is less reliant on virgin tree fibres, makes maximal use of recycled materials, protects biodiversity, respects local people’s land rights, provides employment, and has social impacts that are beneficial, conflict-free and fair”. Banks cannot continue to ignore the environmental and social impacts of industrial tree plantations and pulp mills. If they do so, their reputations will be at risk. Spek, Machteld (2006) “Financing pulp mills: an appraisal of risk assessment and safeguard procedures”, Centre for International Forestry Research (CIFOR), Bogor, Indonesia. page viii. “Brazil: Veracel’s deceitful practices“, World Rainforest Movement Bulletin no. 115, February 2007. “Global Forest, Paper and Packaging Industry Survey: 2006 Edition – Survey of 2005 results“, PricewaterhouseCoopers. CIFOR comments that New Zealand is often cited as an example of a country where plantations appear to be taking pressure off native forests. CIFOR points out that this is a recent phenomenon and that it was not market forces but government legislation which stopped logging in native forests. 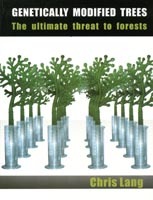 Williams, Ted (2000) “False Forests”, Mother Jones magazine, 1 June 2000. Maturana, Julia (2005) “Economic Costs and Benefits of Allocating Forest Land for Industrial Tree Plantation Development in Indonesia“, Centre for International Forestry Research (CIFOR), Bogor, Indonesia, page 21. Poschen, Peter and Mattias Lövgren (2001) “Globalization and sustainability: The forestry and wood industries on the move”, International Labour Organisation, Geneva, page 65. Clarke, Jeanette and Moenieba Isaacs (2004) “What role for forestry in reducing poverty in South Africa? Case studies of contractors in the foretry sector”, International Institution for Environment and Development (IIED), London, UK, page 4. “Paper mill dispute slashes coal burn”, Platts Coal Trader International, 20 May 2005, page 2. Figures of paper consumption per capita come from World Resource Institute’s Earth Trends website: earthtrends.wri.org. Pasuk Pongpaichit (1995) Presentation at Seminar on Community Rights and Environmental Conservation: The Case of the Paper Pulp Industry, Chulalongkorn University, Bangkok, 27 April 1995, cited in Carrere, Ricardo and Larry Lohmann (1996) “Pulping the South: Industrial Tree Plantations and the World Paper Economy”, World Rainforest Movement and Zed Books, London, UK, page 103. “Uruguay: The absurd injustice of promoting tree plantations“, World Rainforest Movement, Bulletin 68, March 2003. This section is based on a summary of the concerns raised in Masya Spek’s 2006 report for CIFOR: “Financing pulp mills: an appraisal of risk assessment and safeguard procedures”. Barr, Christopher (2004) “Risk Analysis and Impact Assessment for Pulp and Plantation Investments: The Case of Indonesia“, International Forum on Finance and Investment in China’s Forestry Sector, Beijing, 22-23 September 2004. Tio Minar, Betty (2006) “No Chip Mill Without Wood: A study of UFS projects to develop wood chip and paper pulp mills in Kalimantan, Indonesia“, Down to Earth, August 2006.